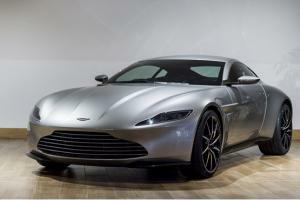 The Aston Martin that James Bond uses in his latest film is going on tour around different car dealerships in the UK. Spectre, the newest blockbuster featuring Britain's most famous secret agent, is due for release on 26 October. As ever, the movie will feature plenty of fast cars, with 007 pursuing criminal masterminds in a specially made Aston Martin DB10. And now car dealerships are going to need to make sure they have a robust motor trade insurance policy in place as they prepare to welcome the sports car onto the premises as part of a promotional tour the vehicle is doing ahead of the film's release. Aston Martin built 10 DB10s for the film, and the company's dealerships across the UK will open their doors for car lovers and Bond enthusiasts to come in and see the car for themselves. The first event has already taken place, with more than 500 people visiting the brand’s Aston Martin Works showroom in Newport Pagnell to get a close-up view of the new sports car. Like the spy himself, dealerships always need to be wary of the intentions of criminals – a combined motor trade insurance policy provides financial protection for their valuable assets, including stock, parts and equipment stored on site. Paul Spires, Aston Martin Works managing director, has said that touring DB10s are expected to attract a lot of customers, including youngsters that could be potential Aston Martin customers of the future.